Boho fall fashion – it’s a style I love and am embracing this season. I naturally lean towards boho styles that feature fringe, lace, flowing shirts and dresses – but I’m planning on adding it a bit more this year. Last week I featured several boho inspired daytime looks where I pulled one element, and incorporated it into my everyday look. But I want to kick things up a notch and put together a nightime look for you. 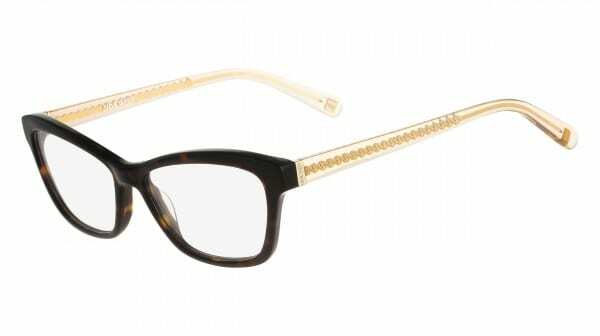 And since it looks like I may be rocking a pair of glasses soon (my eyes, oh my eyes), I’m adding a pair of Nine West frames, showing you how you can “Frame your fall look”. Glasses are not what they used to be my friends. They are a true accessory (if you choose the right ones) and a compliment to your outfit. As you know, I’m not one for fashion “rules” but I am for dressing my age. Most boho dresses are short. Like I-can-almost-see-your-underwear-short. So, in an effort not to embarrass myself, my family and my community, I like to go for long boho dresses. They are modest, absolutely stunning and can help you create one fabulous outfit. The dress above is long, slightly fitted and would look amazing under a fringed poncho (as pictured above) or leather jacket. Add in the cross body bag, Nine West Wedge boots and Nine West glasses, and you have yourself one stylish boho outfit for hitting the town with the girls or your other half. The outfit above was inspired by this Nine West Boho look. I would wear this entire outfit in a heartbeat! The brown leather jacket with the dress, killer brown boots and Nine West glasses with the gold trim on the side is perfect. Here’s a better look at the glasses. Do you or a family member wear glasses? Two of my kids wear them and it looks like both myself and my middle son are going to need them as well. My daughter chose her glasses with style in mind. She wanted a pair that would go with everything, showed her personality and had a bit of an edge to them. As my husband and I found out the hard way, paying for glasses out of pocket can be incredibly expensive. When you add up the lenses and frames, designer glasses can end up costing you hundreds of dollars. Personal style is important to me and I want frames I love, that help complete my look and that I didn’t feel like I had to settle for – because of price. Have you heard of VSP Direct™ ? It’s individual insurance which includes a yearly eye exam and gives you access to a wide variety of top name brands, such as Nine West. They help make finding a style that meets my needs and desires possible and affordable. Cost is as low as $17 per month for a plan, they have a 100% satisfaction guarantee and their 30,000 providers in convenient locations makes VSP the largest doctor network in the industry. This is the plan I’ll be personally using to get myself a great pair of designers glasses and finally be able to see clearly! How does a $150 Nine West gift card, a Nine West must-have fall accessories package and free VSP Direct vision insurance for one year sound? Entering to win is easy. Enter the VSP Direct “Frame Your Fall Look” Sweepstakes now through November 7, 2015 by pinning your favorite fall look. You can find out all of the details, as well as enter, here.